Pump up bike tires with ease. The Air Kit 3 is a heavy-duty public bike pump providing safe, convenient way for cyclists to air up tires and ride worry free. 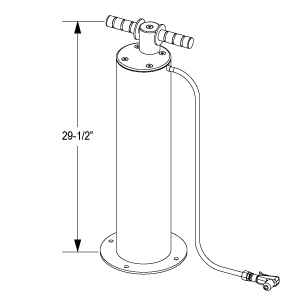 Air Kit 3 is recommended to be installed at least 36" away from any obstructions. Available in galvanized or the powder-coated finish color options as shown. Designed to be compatible with all bicycles, the magnetic pump head accepts Schrader and Presta valves. 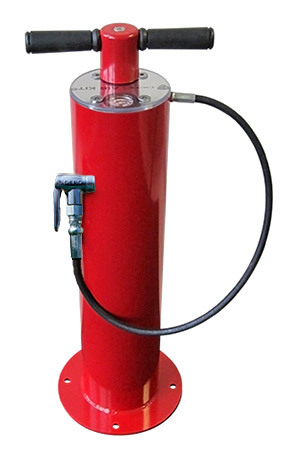 Constructed with waterproof, Anti-fog gauges, rubber hand grips, reinforced air hose and a substantial 6" steel tube body, this Air Kit 3 bike pump is built for the long haul. Great for high volume areas like train stations, urban spaces, universities or parks, the all-weather Air Kit 3 is the perfect tool ready to provide cyclists service when it's needed the most.